This year's NYFW was all about DIY details. Street style looks resembled a DIY/thrift shop runway as the gals of the fashion world headed to couture shows. One of the top looks I noticed was the slip dress…specifically velvet or silk with lace trimming. Buy lace fabric for dress here. Nothing revolutionary, slip dresses have been around since the dawn of time. It's a trend that always seems to cycle back around. It's actually a simple DIY you can make yourself. Great for under a jacket or cardigan, tucked into jeans, or rock the street style look with a tshirt underneath. FYI: if you're not to handy with the sewing machine, they also have a gazillion of these at your local thrift store. 1.5 - 2 yards velvet or silk preferably with stretch. 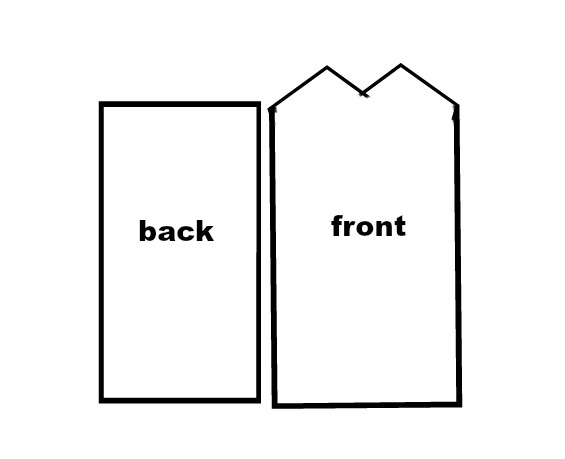 Basic pattern of a slip dress is 1 rectangle for the back and a rectangle with triangles for the bodice. I'd use a stretchy velvet so you don't have to add a zipper into the side seam. Use a slip dress you may have or a dress you like for the length and width. 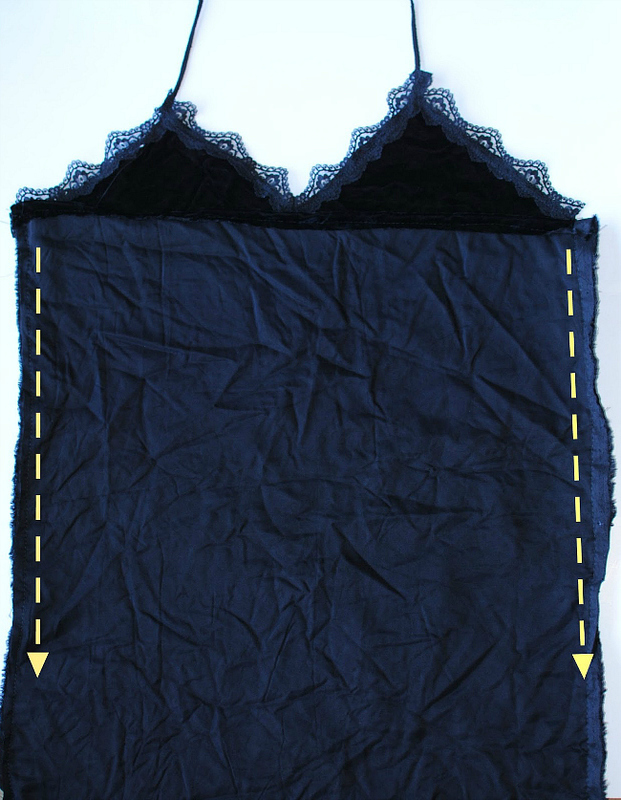 Make a V shape with the lace trim by sewing a slant when folded in half. Pin the V neck trim along the edge. 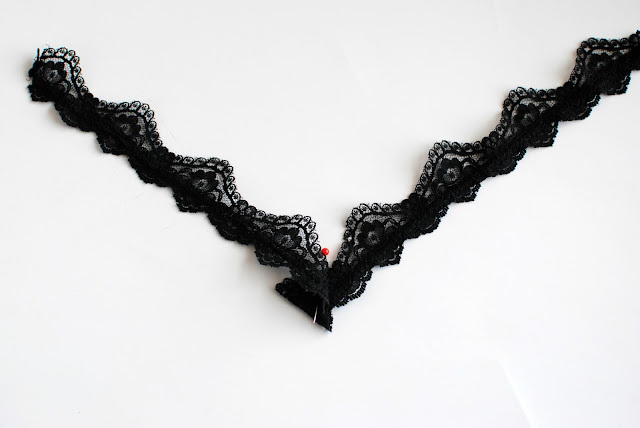 Add another lace trim on the side part. Over lap them like such and top stitch right along the lace into place. Wrap the straps with the additional trim and tack into place by sewing or hand sewing. I just sewed along the strap and lace. For the back piece, I just finished the top edge instead of adding lace. Place right sides together front and back as such and sew. Attach the straps to the back by sewing into place where the pins are. Lastly, finish the bottom edges. I love it!!!!! I have the stretching velvet fabric, so I will make it for sure!! Thank you for the idea!!!!! What about things I like to do, it's all about writing. For example, you can check this out and read advices I use for writing my shakespeare essay. Me and my friend here loved these. I'm definetely gonna buy like this one for my wife! Thank you!